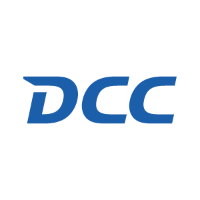 The share price for DCC plc EPIC code: LON:DCC has decreased -4.07% or -245 points throughout today’s trading session so far. Market sellers aired on the negative side during this period. The period high has peaked at 6005 while the low for the session was 5775. The volume total for shares traded up to this point was 289,501 while the daily average number of shares exchanged is 543,232. The 52 week high for the share price is 7808.11 about 1788.11 points in difference on the previous days close and a 52 week low being 5555 a difference of some 465 points. DCC plc has a 20 SMA of 6047.25 and the 50 day simple moving average now of 6455.8. This puts the market cap at £5,673.91m at the time of this report. The share price is in Great British pence. Mcap is measured in GBP. This article was written with the last trade for DCC plc being recorded at Thursday, December 6, 2018 at 12:05:08 PM GMT with the stock price trading at 5775 GBX. Shares in RSA Insurance Group plc ticker code: LON:RSA has decreased -2.66% or -14.2 points in today’s trading session so far. Market sellers have so far given a mostly negative outlook during the session. Range high for the period has seen 530.6 while the low for the session was 515.4. The total volume traded so far comes to 506,939 while the daily average number of shares exchanged is 3,752,220. The 52 week high price for the shares is 683.4 which comes in at 149.4 points in difference on the previous days close and a 52 week low being 515.4 a difference of some 18.6 points. RSA Insurance Group plc now has a 20 SMA at 546.6 and now its 50 day moving average at 558.93. The market capitalisation currently stands at £5,335.94m at the time of this report. The share price is in GBX. Mcap is measured in GBP. 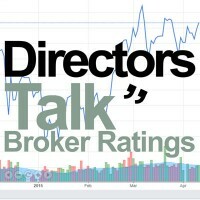 This article was written with the last trade for RSA Insurance Group plc being recorded at Thursday, December 6, 2018 at 12:05:29 PM GMT with the stock price trading at 519.8 GBX. The share price for St. James’s Place plc ticker lookup code: LON:STJ has decreased -3.84% or -38.2 points during today’s session so far. Market sellers were not positive throughout the trading session. The high for the period has reached 986.8 and a low of 949. The volume total for shares traded up to this point was 758,226 while the daily average number of shares exchanged is 2,103,995. A 52 week share price high is 1279.5 amounting to 285.5 points difference from the previous close and the 52 week low at 949 which is a difference of 45 points. St. James’s Place plc has a 20 day moving average of 1046.85 and a 50 day moving average now at 1059.84. The market capitalisation currently stands at £5,060.36m at the time of this report. All share prices mentioned for this stock are traded in GBX. Mcap is measured in GBP. This article was written with the last trade for St. James’s Place plc being recorded at Thursday, December 6, 2018 at 12:05:03 PM GMT with the stock price trading at 955.8 GBX. Shares in Bunzl plc ticker code: LON:BNZL has slid -2.49% or -59 points during today’s session so far. Sellers have so far given a mostly negative outlook throughout the trading session. Range high for the period has seen 2362 and hitting a low of 2301. The total volume of shares exchanged so far has reached 298,577 with the average number of shares traded daily being 1,093,645. A 52 week high for the stock is 2466.5 amounting to 96.5 points in difference to the previous days close of business and a 52 week low sitting at 1918.5 a difference of some 451.5 points. Bunzl plc now has a 20 moving average of 2359.25 and now the 50 day moving average now of 2325.8. The market capitalisation currently stands at £7,774.45m at the time of this report. The share price is in Great British pence. Mcap is measured in GBP. This article was written with the last trade for Bunzl plc being recorded at Thursday, December 6, 2018 at 12:05:16 PM GMT with the stock price trading at 2311 GBX. The trading price for Burberry Group plc found using EPIC: LON:BRBY has dropped -2.88% or -51 points in today’s trading session so far. Investors were not positive throughout the trading session. The period high has peaked at 1758.5 and hitting a low of 1710.5. The volume total for shares traded up to this point was 265,850 with the daily average at 2,549,710. The 52 week high price for the shares is 2338 amounting to 568 points in difference on the previous days close and a 52 week low being 1481.5 which is a difference of 288.5 points. Burberry Group plc has a 20 SMA of 1834.73 and a 50 day moving average now of 1843.48. Market capitalisation is now £7,071.52m at the time of this report. The currency for this stock is GBX. Market cap is measured in GBP. This article was written with the last trade for Burberry Group plc being recorded at Thursday, December 6, 2018 at 12:05:09 PM GMT with the stock price trading at 1719 GBX. Shares of Ashtead Group plc ticker code: LON:AHT has declined -2.66% or -44.5 points during the course of today’s session so far. Sellers were far from a positive bunch while the stock has been in play. The periods high has already touched 1665.5 meanwhile the session low reached 1622. The total volume of shares exchanged through this period comes to 596,158 with the average number of shares traded daily being 2,848,159. The 52 week high price for the shares is 2461 which comes in at 788.5 points difference from the previous close and the 52 week low at 1622 which is a variance of 50.5 points. Ashtead Group plc has a 20 day moving average of 1851.2 and now the 50 day simple moving average now of 1994.58. The market capitalisation is now £7,805.76m at the time of this report. Share price is traded in GBX. Mcap is measured in GBP. This article was written with the last trade for Ashtead Group plc being recorded at Thursday, December 6, 2018 at 12:04:43 PM GMT with the stock price trading at 1628 GBX. Click AHT BNZL BRBY DCC RSA STJ for the full archive.